Extreme Enterprise Co., Ltd is China's premier wholesale manufacturer of high quality, custom made wooden boxes. Our years of experience in designing custom wooden tea bags storage boxes has given us a worldwide, and well known customer base. Whatever your wooden box needs, we have the expertise and capacity to meet and exceed your production goals. 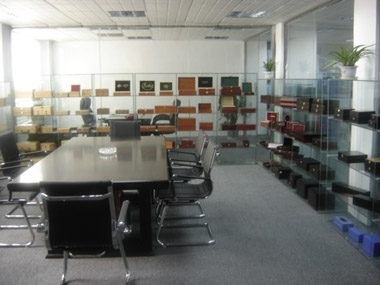 In choosing us as your wooden box manufacturer, you will find our company is easy to do business with. We are committed to your satisfaction and our professional staff are eager to listen to your requirements. We commit to you that we will manufacture a high quality product that will meet or exceed your expectations. In April of 2009, we started a new company, Prettywood Box Company, to expand our facilities to allow us to better meet our customers needs. This factory will enable us to increase our capacity and operate 24 hours a day, 7 days a week in the near future. Expanding to 5,760 square meters of space, this newly constructed facility will enable us to increase our skilled workforce significantly, and provide customers with excellent delivery time on their orders. Also in April of 2012, we are setting up another larger factory with about 30,000 square meters working house to meet with our customers' order capacity. The new factory has started working from July of 2013. After these years developing, we helped many of our chocolatiers customer source a lot of other packagings, including paper box and bags, paper printing items, plastic boxes and bags, trays, tins, arcylic trays and displays, and etc. To get better service and meet with our customers' higher requirements, in Novernmber of 2011, we set up another office in Pudong, Shanghai. There our staff are just working to source more reliable and reputable factories throughout China for other related chocolate packagings. There we are mainly working for chocolates packaging items and teas packaging items. Also we are handling all the exportings there to get our customers better service. If you would like to place an order or learn more about our company, please contact with Mr. Wang Zhonghai at sales@elegantwoodenbox.com or woodenboxrj1227@yahoo.com, or use our contact form.